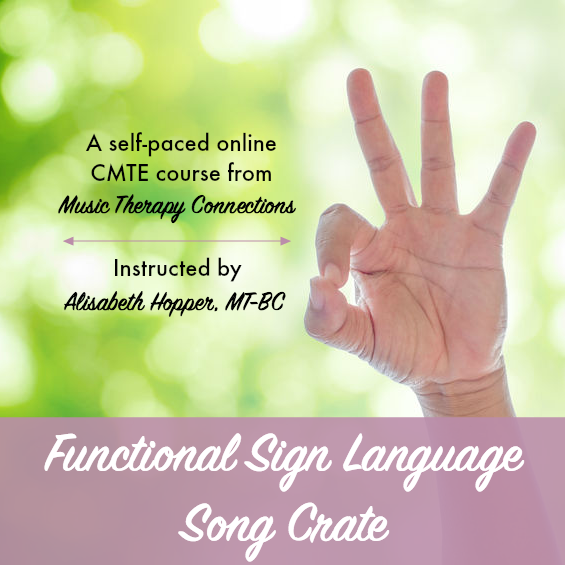 The Functional Sign Language Song Crate for Music Therapists teaches you how to sign 8 songs and includes clinical applications, mp3s, chord sheets and more! 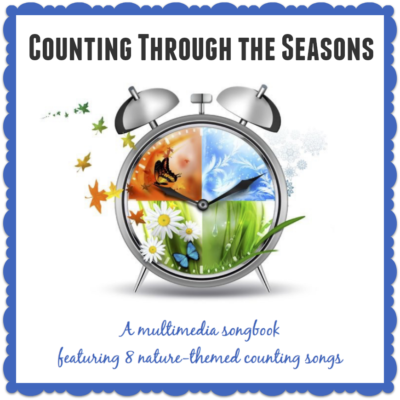 The course concludes with a tutorial for the step-by step-process we use to sign any song. 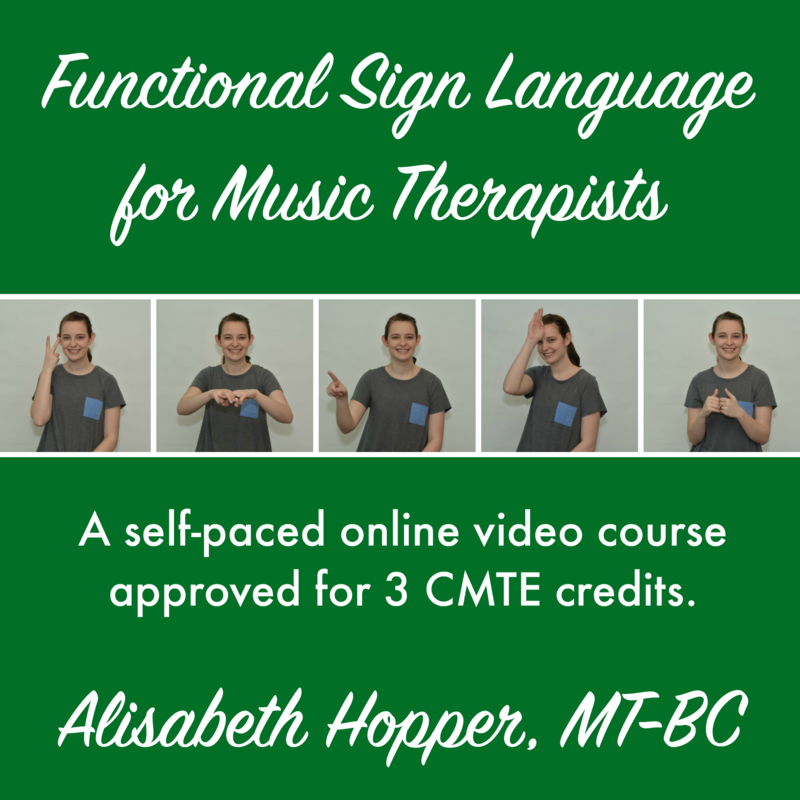 The Functional Sign Language Song Crate for Music Therapists is pre-approved by CBMT for 3 CMTE credits. All of the materials for the course are provided to participants online and can be downloaded for your convenience. Click here to learn more about the course content, instructor, and what you will gain as a course participant.